1. Very masculine and broad based with added muscle and power. 2. 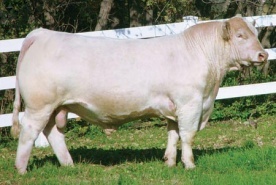 An attractive looking sire with good carcass traits. 3. Will sire show winning off-spring.